Unlike most backyard veggie gardens, a food forest is planted once and left to grow with little care. Kids can design their food forest by choosing certain local organic heirloom root vegetables, fruit trees, salad greens, herbs, native flowers, perennials, and berries that will grow year after year without replanting. Local permaculture gardeners can recommend the right varieties and may share seeds and plants. Popular perennial veggies include: asparagus, rhubarb, kale, artichoke, onion, garlic, and radicchio. Kids should plant their perennials and reliable self-seeding plants in the autumn. In dry climates, kids will need to occasionally water their food forest in the summer. Kids will also need to remove any weeds that come up before they produce seeds. Kids can harvest most of their crop, but need to leave some plants to go to seed; or leave the largest onion or garlic bulb in the ground to produce more and harvest the rest for eating. Seeds will develop naturally; as the plant matures, it dries and drops its seeds on the soil to grow again. Perennial plants will last for years, some will die back in winter to regrow in the spring. Kids should only harvest part of the perennial plant to eat and leave a third to continue to grow. 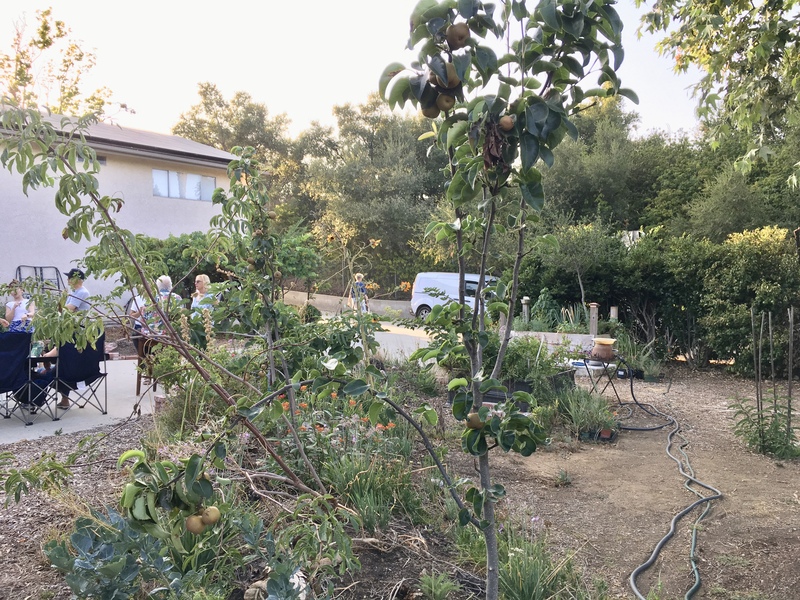 Interplanting the herbs, flowers, and veggies with fruit trees and berries discourages pest, weeds, and diseases, as long as each plant gets the sun it needs. Kids can let the leaves fall to the ground and enrich the soil. Although some plants look like weeds when they are producing seeds, a food forest can be quite decorative. Occasionally, kids will need to renew their food forest with seeds, bulbs, or starter plants. But mostly, kids can create a food forest, allow it to grow wild, and enjoy the harvest of Mother Nature’s bounty.